Best kept in a savings account, an emergency fund is useful for unexpected expenses. » Want to see how big your fund should be? Jump ahead to NerdWallet’s emergency fund calculator. Having money in a high rate savings account can help you avoid borrowing. The financial buffer an emergency fund provides can keep you afloat in a time of need without having to rely on credit cards or take out high-interest loans. This is especially important if you already have these obligations. Up to half a year of expenses: The answer depends on your financial circumstances, but a good rule of thumb is to have enough to cover three to six months’ worth of living expenses. If you lose your job, for instance, you could use the money to pay for necessities while you find a new one, or the funds could supplement your unemployment benefits. Start small, Weston says, but start. Having $500 saved can get you out of many financial scrapes. Put something away now, and build your fund over time. Because an emergency can strike at any time, having quick access is crucial. But the account should be separate from a bank account you use daily, so you’re not tempted to dip into your reserves. A high-yield savings account is a good place for your money. It is federally insured up to $250,000, so it’s safe. The money earns interest, and you can access your cash quickly when needed, whether through withdrawal or funds transfer. Set a monthly savings goal. This will get you into the habit of saving regularly and will make the task less daunting. One way to do this is by automatically transferring funds to your savings account each time you get paid. Keep the change. When you get $1 and $5 bills after breaking a $20, drop some in a jar at home. When the jar fills up, move it into your savings account. If you don’t carry cash, you could try a mobile savings app that makes automatic transfers, with rules that are based on the transactions you make. Read more about our recommendations for savings apps: Qapital, Acorns and Digit. Tidy up your checking account. If there’s money left at the end of a pay period, move some into your emergency fund. If there’s no money left, cut expenses. See which parts of your monthly spending you can trim, so you’ll have cash left over to build your fund. Some ways to save include carpooling, cooking more meals at home, saving leftovers and avoiding small daily purchases such as takeout coffee. Save your tax refund. You get a shot at this once a year at tax time — and only if you expect a refund. Saving it can be an easy way to boost to your emergency stash. When you file your taxes, consider having your refund deposited directly into your emergency account. Alternatively, you can adjust your W-4 tax form so that you have less money withheld. Then direct the extra cash into your emergency fund. Assess and adjust contributions. 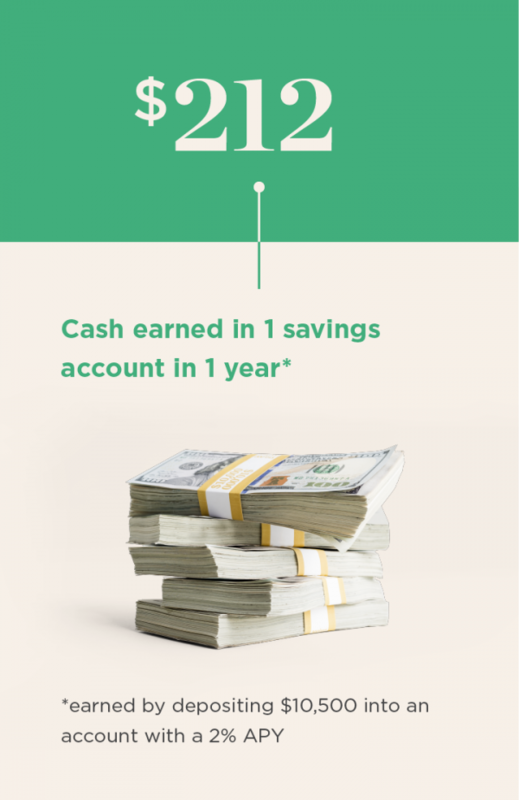 Check in after a few months to see how much you’re saving, and adjust if you need to add more. This is especially important if you go through an expensive major life event such as marriage or a move to a new city, or have an emergency that causes you to dip into your existing fund. Click below to find savings accounts in your area with the best interest rates and reasonable minimum balance requirements. And here are our picks for the best savings accounts overall. What’s an emergency? Something that affects your health or ability to earn money. When saving, draw a line between emergencies and everything else. In fact, once you’ve hit a reasonable threshold of emergency savings, Weston says, it’s a good idea to begin another account for irregular but inevitable items such as car maintenance, vacations and clothing. Everyone needs to save for the unexpected. Having something in reserve can mean the difference between weathering a short-term financial storm or going deep into debt.